Modern machine tools are going to be a featured topic during the Technology Days event hosted by ABB Robotics, a leader in automated machine tools. The event is to be held on May 15th, 2013 at their U.S. headquarters in Auburn Hills, Michigan and will feature robotics equipment for virtually all industrial applications. The event will have industry experts available as well as a variety of training seminars that all guests can attend. The main attraction will be the numerous machine demonstrations and machine tool automation exhibits. The overall theme of the event will be the upgrading or expanding of existing robotic automation in machine tools. Escorted tours and live demonstrations of robotic powertrain machine tools in action are among the highlights of this automotive industry exhibit. Painting machinery ranging from basic to complex machine tools will be presented here. Demonstrations of painting applications will be featured, as parts of all sizes will be thoroughly coverd. These booths will feature automated packaging and order picking machine tools that use new software developed by ABB Robotics – which offers much easier machine programming. Demonstrations of the high speed FlexPicker will also be one of the main highlights of this exhibit. These exhibits are to include robotic welding and cutting machines: Single welding stations, Complex welding stations and cutting systems. This booth will include automated material and part palletizing machinery commonly used in the packaging process. These booths are dedicated to training and remote demonstrations of a variety of new and existing machine tools with added robotic components. This exhibit will focus on integrating new machine technologies in industrial facilities and proper safety precaution when integrating and operating robotic machine tools. These booths will offer the latest small and large parts and assembly machines that offer total automation. The use of robotics makes assembly of even the smallest parts simple and labor free. Other events include remote service / maintenance programs, automated machine training, and One – dimensional to three – dimensional sensor interface seminars. Many of the machine tools presented will be commonly used machines in various industries. Many of these commonly used machines will have added robotic components – which can automate processes that once had to be performed manually or mechanically. Some existing automated machinery will feature upgraded software, making programming much easier. New machinery will also be showcased offering robotic equipment and fully automated systems aimed to revolutionize industrial operation. 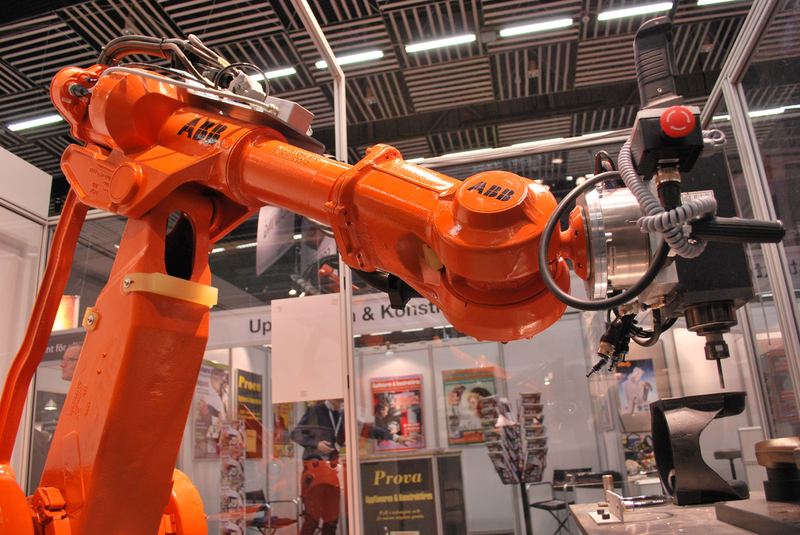 The host of this event, ABB Robotics, is a leading manufacturer of industrial robotic machine tools. They offer machinery for a variety of industrial operations including welding, material handling, parts assembly, painting and finishing, order picking, packing and palletizing equipment.